This Northern Lights tour in 2019 will be different from previous Northern Lights tours that I have organised. This is an improved version: you will get the chance to stay in a rustic cabin way out in the Yukon wilderness, and experience the surrealistic outdoors of the remote Yukon landscape - it will be a truly memorable experience! While the highlight of this tour is the Northern Lights in the Yukon, your chance to take part in amazing winter adventure activities in the Canadian Rockies will thrill your socks off! - just as well. 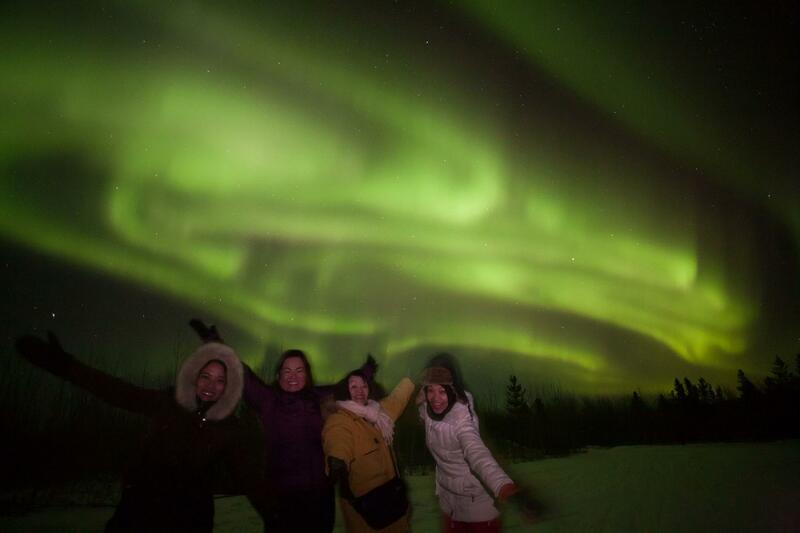 In our previous tours, in February and December of 2017, both groups had their own amazing experience of seeing the Northern Lights actually dancing in the open night sky! The lights filled the whole sky, it was a truly memorable experience for both groups at two different times of the year. We certainly hope (though we cannot guarantee) that this tour will be as lucky as our previous two tours. Fingers-crossed, with the 4 days that we set aside to look at the night sky, we are quite confident that you will get a chance to catch a glimpse of this phenomenon. 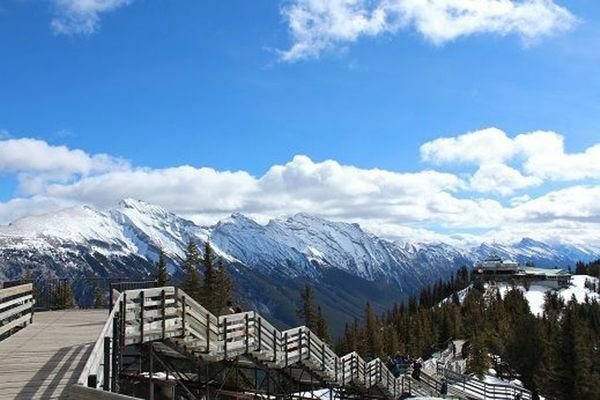 As you will have to fly into Calgary in Canada to take a domestic flight to the Yukon for the Northern Lights, and Calgary being the gateway to the beautiful Canadian Rockies, it is your best chance to take in the sights of the beautiful mountain landscapes in the Rockies before heading to the Yukon. After all, you flew all the way to Calgary and it will be a pity if you don't see for yourself this stunning beauty of mother nature. This trip will be like going on 2 tours on one trip - the Canadian Rockies, and the Northern Lights. 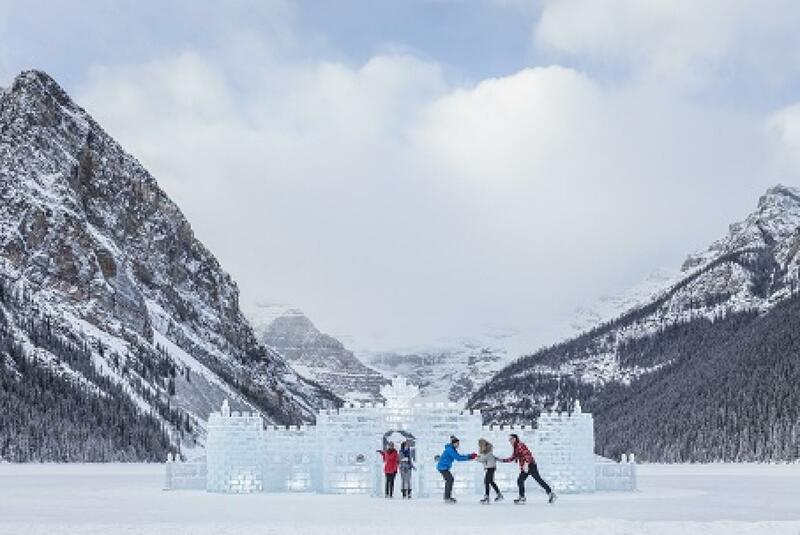 See and experience the splendor of a snowy winter wonderland in the Canadian Rockies and catch the beautiful winter landscape made so much more magnificent with the mountains in the background. You will visit Banff, the famous town of the Canadian Rocky Mountain Parks, which is on the UNESCO world heritage list. 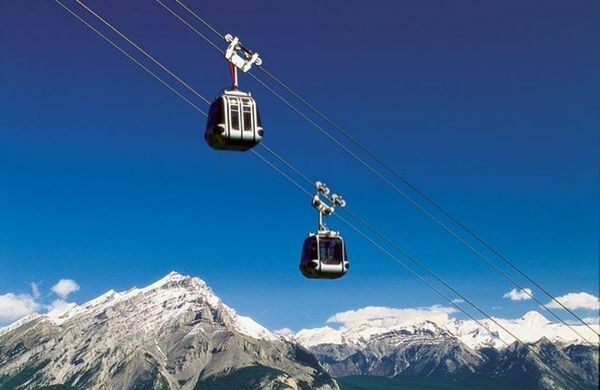 You will ride the Banff gondola up Sulphur Mountain for views that will take your breath away! 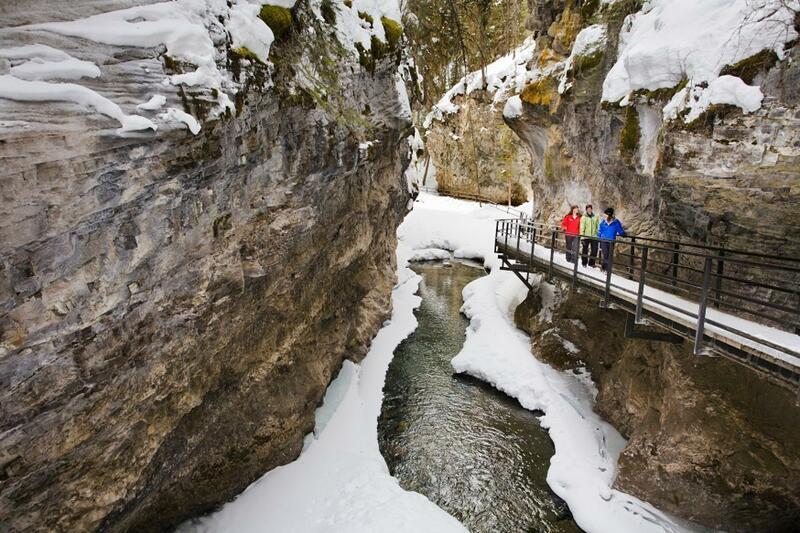 Your winter adventures will also bring you the wonders of ice-walking in the beautiful Johnston Canyon, visit the picturesque Lake Louise, and snowshoeing at the top of the world in the magnificent Sunshine Meadows. 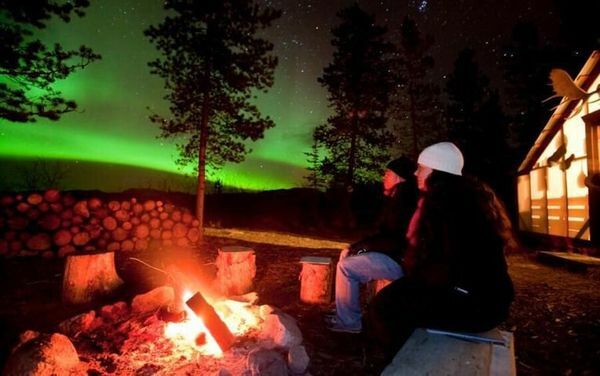 The second part of this trip will see you board a flight to Yukon into the town of Whitehorse where you will have the opportunity of your lifetime to catch the spectacular Northern Lights – the Aurora Borealis. For 2 nights, you will be transported from your hotel to a heated cabin or wall tent, out in the open darkness, to catch the Aurora Borealis. The other 2 nights you will spend it in a rustic and remote cabin and get to enjoy the serene and surrealistic Yukon environment. During your days in Whitehorse, you will visit the Yukon Wildlife Preserve where you can watch and photograph the Dall Sheep, Bighorn Sheep, Mountain Goat, Deer, Elk, Woodland Caribou, Wood Bison, Musk-Ox and Moose – all in their natural habitat. You will also get the chance to soak in the Takhini Hot Springs in an open Yukon winter landscape. (See the video link below about how funny it can be in the hot springs). 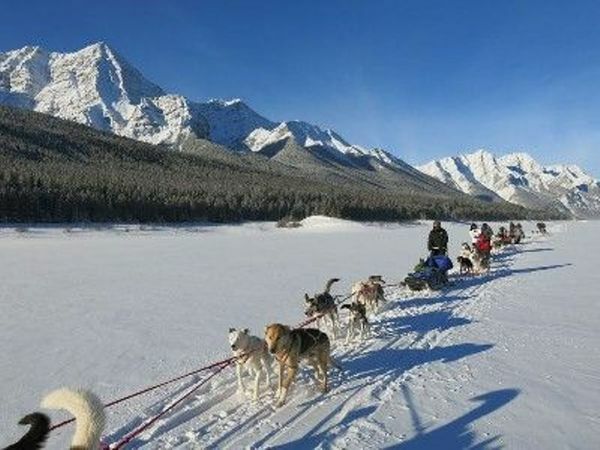 Finally, get a chance for more winter adventures with optional tours like dog-sledding, snowmobiling, and snowshoeing with ice fishing, in the Yukon! GET AN EARLY BIRD DISCOUNT OF SGD 100 OFF! WHEN YOU PAY YOU DEPOSIT BY 24 November 2018! 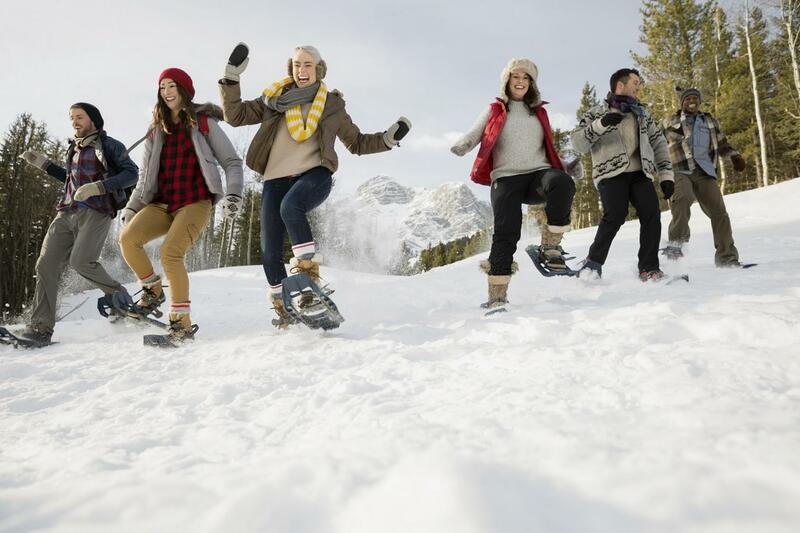 Snowshoeing - get to do this on top of the world in the magnificent Sunshine Meadows! A.M. Transfer to airport for flight to Whitehorse (YXY), Yukon. Dog-sledding – an optional tour you don't want to miss! 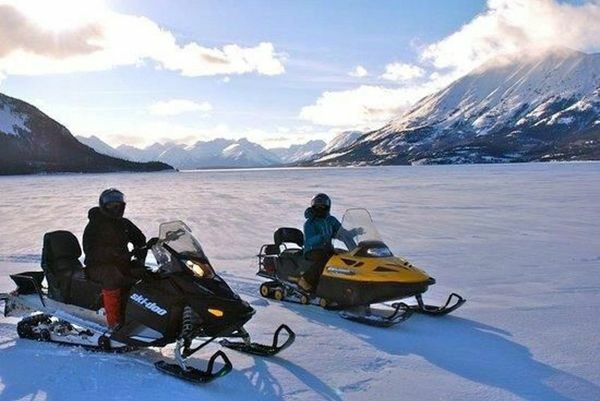 Snowmobiling (optional) – tour the beautiful Yukon on these fabulous machines! The cost is based in Canadian Dollars (CAD). The conversion rate is calculated at 1.05 (CAD 1 to SGD 1.05). The payment you make will be converted to Canadian Dollars based on the exchange rate that the payment is received. Any difference in the amounts after you have paid the full cost, which was calculated at the rate of 1.05, will have to be made up by you (OR refunded to you, as the case may be). The above cost is for a group of 4 persons. The tour can proceed only with a minimum of 4 persons. For groups of 5 to 12 persons, the total cost will be re-calculated and will be lowered for each person. The cost is based on twin-sharing rooms in mid-grade hotels. For single rooms, a supplement cost will added accordingly. Pay your Deposit of SGD 1,500 by 24 November 2018 to get SGD 100 OFF on this tour! Please make a deposit of SGD 1,500 to book your place by 8 December 2018. Full Payment of the balance of the cost of this tour have to be made by 29 December 2018.